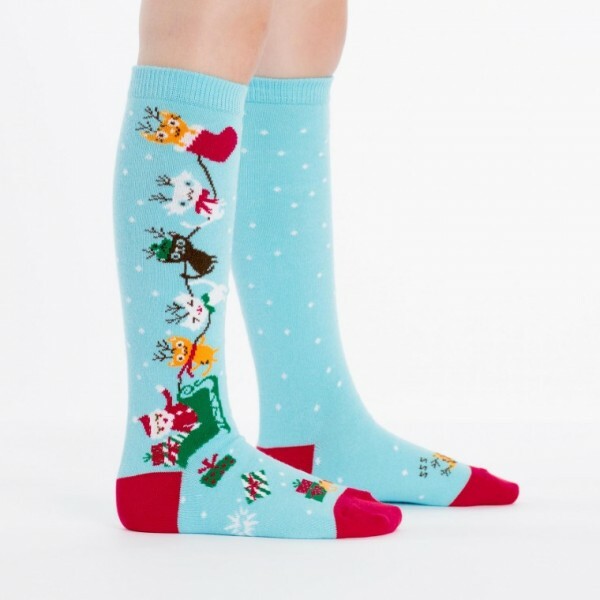 Jingle all the way up to your knees in Jingle Cats knee socks. Santa got tired of all the noise reindeer make on our rooftops, so he enlisted the quietest steppers around: kittens. Now, Pouncer! Now, Mouser! Now, Tabby! Now, Kitten! 75% Cotton, 23% Polyester, 2% Spandex. Made in Korea.